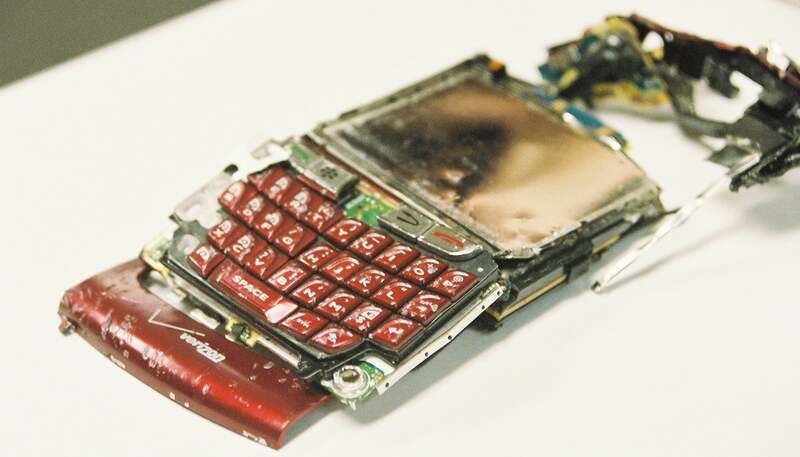 After the explosion of an iPhone inside an Apple Store, resulting in a few minor injuries, you might be wondering, "Oh crap, how do I stop my smartphone/laptop/robot dog from burning my house down?" Instead of running for dear life, or dousing your device with spring water, here are the steps you should follow to properly extinguish a battery-related fire (and why you should save that Pellegrino as a last resort). A smartphone battery fire is only made worse if that smartphone is drawing on another power source while it burns. When your battery starts to hiss or bulge, be sure to unplug it from whatever power source it's connected to before you turn your attention to extinguishing. Safety first means being prepared for emergencies such as fires, caused by your smartphone's self-immolating battery or otherwise. That means you'll need a fire extinguisher, so add one to your shopping list. In terms of fire extinguishers, you should have one designed to put out Class A, Class B and Class E fires. Class A fires involve basic flammables such as paper, fabric and plastic; Class B fires involve flammable liquids; and Class E fires involve electrical equipment such as motors and batteries. Your standard fire extinguisher, costing anywhere from $20 to $60, should be able to handle Class A, B and E fires. There are a variety of extinguishers available, but searching for a Class ABE extinguisher will yield one appropriate for dowsing your new Pixel 2. In late December, Galaxy Note8 owners started to report a bizarre issue with the phone's battery. If the power dropped too low it couldn't be recharged, making it impossible to use the device at all once the battery died. Class D fire extinguishers are also available, but are designed to extinguish fires involving combustible metals. While you can certainly use one to put out your smartphone, a class D fire extinguisher's high price tag might put it a bit out of your reach, so don't bother spending the hundreds of dollars required to get one. 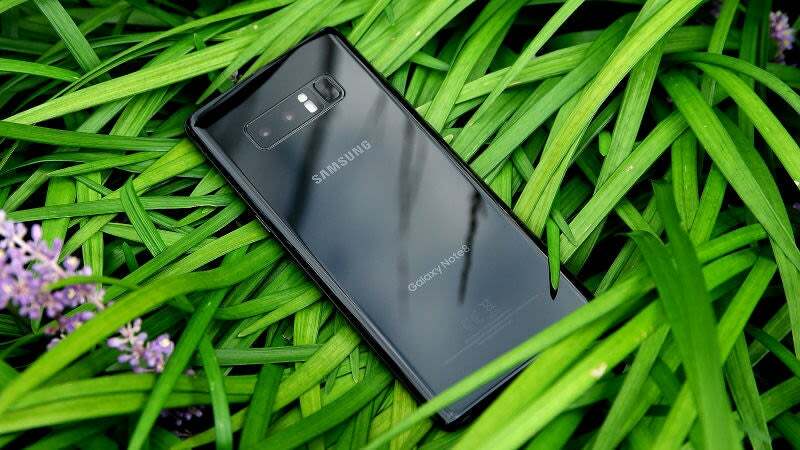 Thanks to the chemical composition of smartphones powered by lithium batteries, there is always the chance that pouring water on a smartphone could cause a chemical reaction between the H2O and lithium metal, turning that hydrogen into fuel for the fire. Fortunately, most smartphone batteries have such little lithium the risk is pretty negligible. Should you find yourself dealing with a smartphone fire armed only with a six-pack of sparkling water, feel free to apply it liberally, and drown your smartphone until no more smoke is visible. Your phone is toast. You can dispose of your charred battery by searching for a battery disposal location near you. If your iPhone decides to blow up at the beach, you can also cover it in sand or other non-flammable smothering agent such as dirt. As with most things that burn, be sure to avoid inhaling the fumes from a smoking battery, as they're toxic, carcinogenic and just plain gross. dowsing = to search for underground supplies of water, metal, etc., by the use of a divining rod. dousing = to splash or throw water or other liquid on. Now that you've fixed the typo in the article, the comment can be removed.